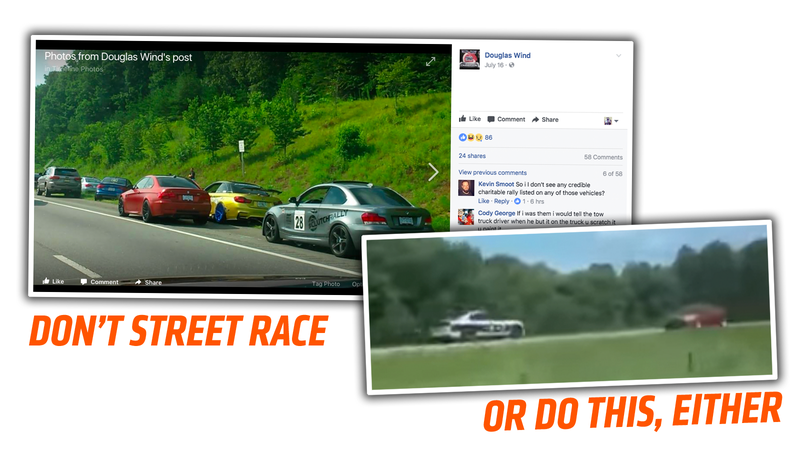 This past Sunday afternoon, the North Carolina Highway Patrol stopped an alleged street race involving ten BMWs, impounding five of the cars. Troopers allege that five of the cars were slowing down and blocking surrounding traffic while the other five raced at speeds approaching 100 mph. 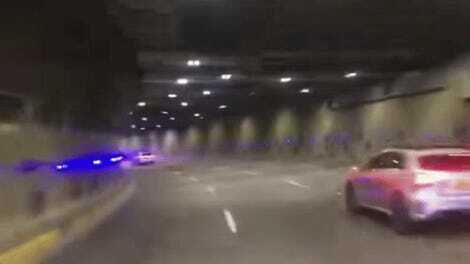 In the process of stopping the alleged street racing, though, one trooper may have actually caused an even more dangerous situation by driving the wrong way down the highway. The whole incident took place on Highway 321 near Newton, NC. All of the cars were registered out-of-state, and all the drivers of the impounded cars insist they were not involved in any organized street racing or were racing at all. According to news sources, witnesses reported the BMWs weaving in and out of traffic and stopping on the highway to start races with the other cars in the group. And the trooper seen in the video, T.J. Williamson, resigned after the video of him going the wrong way on the highway was shared online. If the reports are true, this is absolutely dangerous to everyone involved and just deeply stupid. While it is the Highway Patrol’s job to stop situations like this, the trooper who drove a patrol car at speed into oncoming traffic on the wrong side of the highway was doing plenty of idiotic endangering himself. Everyone looks great here, basically.